So I’m posting this a day late, but I guess baking enthusiasts will agree that every day should be celebrated as baking day! The concept is fun- you log on to the website http://www.worldbakingday.com, choose a recipe posted there based on the difficulty level, grab the badge and bake! Anyway, snap back to reality after reminiscing about MC Australia. I followed the recipe with a few minor tweaks, because I did not have access to some ingredients. (Substituting butter for margarine and desi nimbus for lemons.) And you know what? 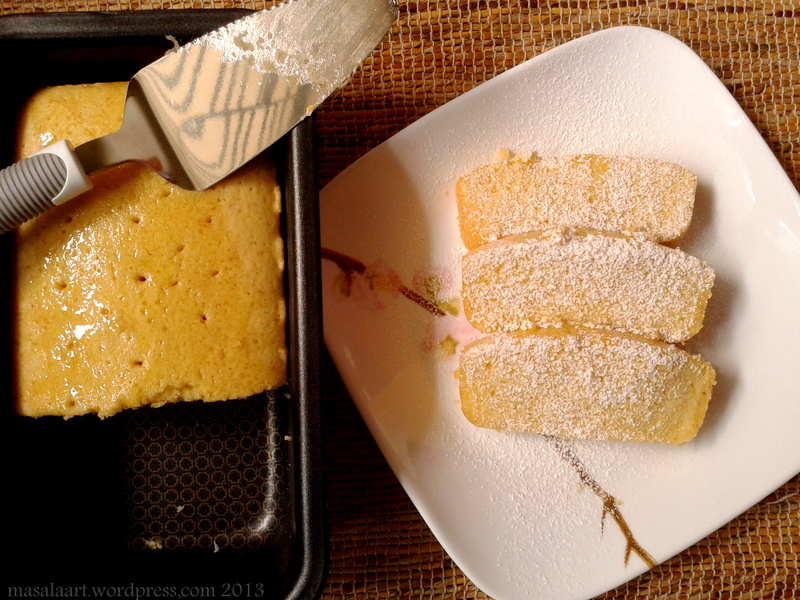 Even though most lemon cakes I have come across use Meyer lemons, our desi nimbus work pretty well- they are quite fragrant and manage to give off that floral undertone. Which got me thinking- if this cake could turn out so well using nimbus, imagine how amazing it would be with larger, juicier Meyer lemons! The batter was a little runnier than I expected and I feared it would not bake properly, but I was wrong. This recipe calls for creaming the eggs, sugar and lemon zest; then adding in the dry ingredients followed by more wet ingredients- milk and melted butter. While the cake is baking, you make a quick lemon syrup- just lemon juice and sugar slowly boiled on a low flame till it reaches syrupy consistency. 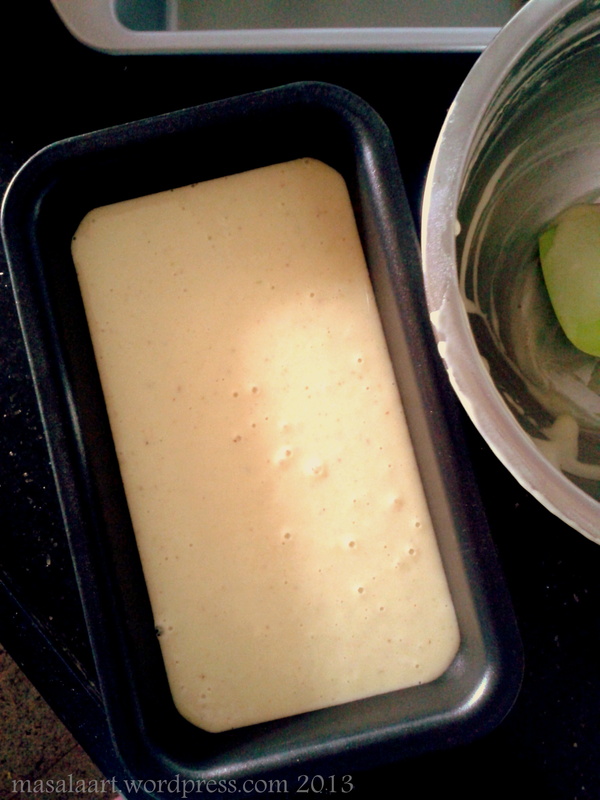 Once cooled, poke some holes in your cake and drizzle over! Just make sure you use your skewer to poke all the way through, so that the syrup permeates evenly and well. 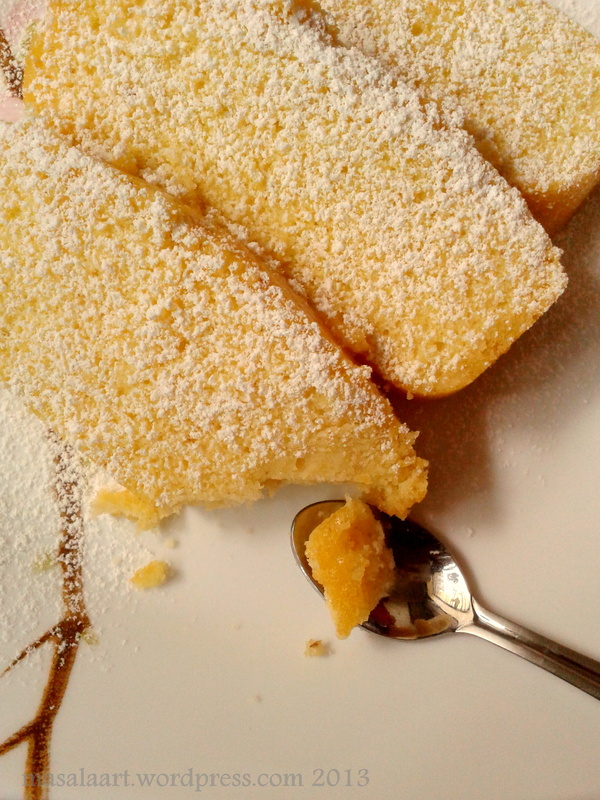 Whether you have access to Meyer lemons or not, do try this cake. It’s simple enough and requires so few ingredients- in fact, I did not even need a trip to the grocery store. In a large bowl, cream the eggs, sugar and lemon zest. Add the flour and baking powder and beat well. Pour in the milk and vanilla extract and combine well. Add the melted butter and beat a little more. Once your batter has come together and there are no lumps, pour into your loaf tin and bake for 30-35 min at 170 C till the top becomes golden. Heat the castor sugar and lemon juice in a pan for 5-7 minutes on low heat until everything is dissolved and the mixture becomes a light syrup. Once the cake is ready, allow it to cool a little. 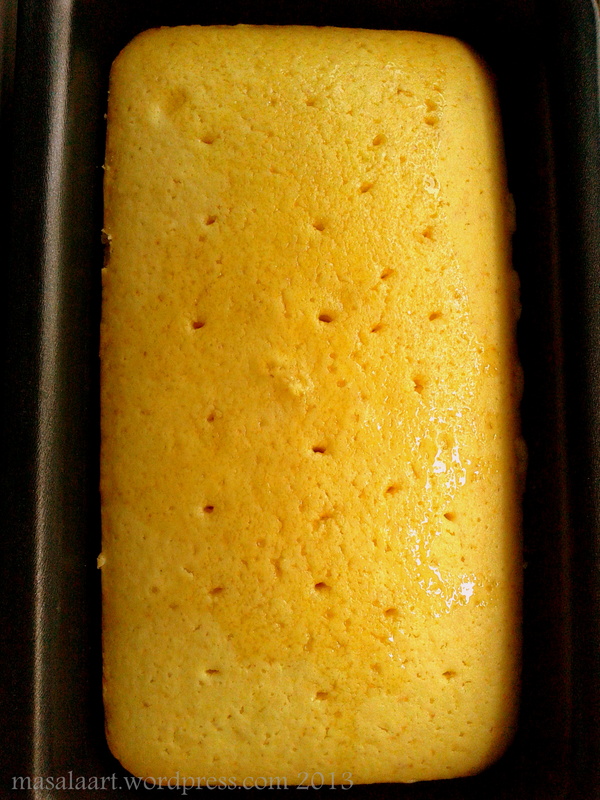 Then pierce some holes on the surface and spoon the syrup over the cake. This is a perfect tea-time cake, and would be great with a dollop of fresh cream or vanilla ice cream. I didn’t have any decorative lemon slices to garnish the cake with, so I dusted it with powdered sugar instead. It’s a no-fail decorating tool! There is something quite comforting about a loaf cake- they can be so delicious, without being intimidating for the baker or the consumer. Plus, you can dress it up or down with whatever you like, making it one of those creations which fits at a party or a picnic. Personally, I like having a slice of loaf cake first thing in the morning, still in my pajamas, with a cup of coffee. Am I- gasp– turning into Nigella? Hope all you bakers out there had fun on World Baking Day. Here’s to more happy baking round-the-year!